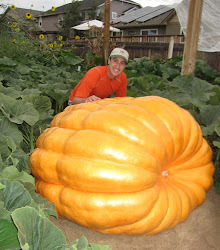 Giant Pumpkin Growing Tips From The Pumpkin Man: As Seen on TV...The Pumpkin Man Goes National! As Seen on TV...The Pumpkin Man Goes National! A little teaser of Jamie 'The Pumpkin Man' Johnson on NBC. Watch The Marriage Ref on June 26th! You have to have game before you can bring it on.